Time moves so fast, soon April is here again to start giving us beautiful flowers. One of my hobbies is gardening. I love beautiful and colorful flowers so much. I remember back home I have many beautiful flowers. Since Its my first year of living to my new house in Canada I will plant beautiful flowers after the winter gone. You are certainly a very nice auntie to your nieces and nephews. They are lucky to have you for an aunt. I love your flowers! My Flower post this week in HERE. Hope you have time to visit. Thanks. Really beautiful flowers. Bye and greetings from Croatia. Your relatives are very lucky to get these. How lovely. Beautiful, and the fact that they're hanging. These are beautiful flowers and a lovely gift for Christmas. Great photos! Awesome! I wish they bloomed like yours at my house. Oh, I love your Tuberous Begonias. You grow them so well, where I am they are difficult to overwinter without a glass house. Where I come from, they flower happily all summer long in parks and gardens. 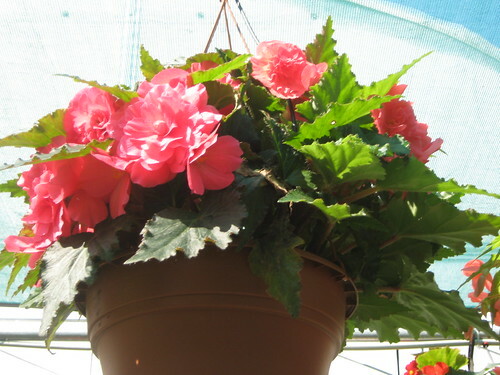 beautiful begonia is also my flower this week. the flowers are beautiful and I like the way you photographed them. 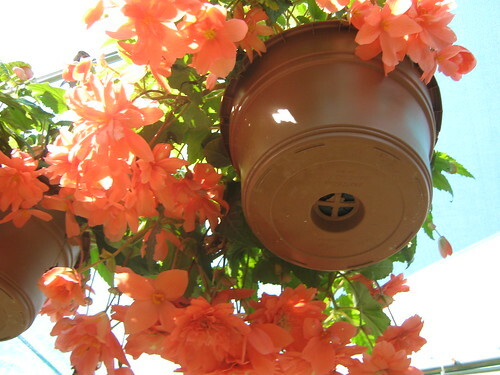 Norm: The Orange and Pink Bigonia is quite beautiful as are your other flowers. Great posting! Really beautiful flowers! Congrats!!! Have a nice week. 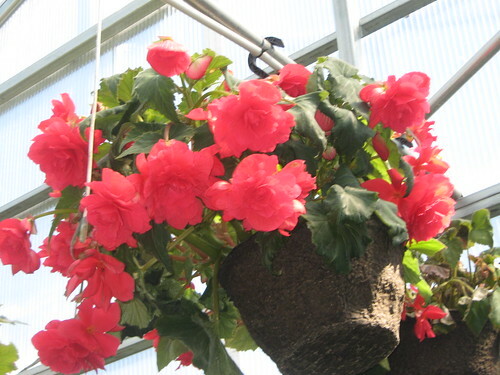 Beautiful begonias and such a bright colour too!